Health Sciences students must comply with both Texas law and clinical facility requirements related to immunization and testing. Students should not delay completing their immunizations; some take up to 4-6 months to complete. Students applying to the Veterinary Technology program are only required to submit a TDAP administered in the last 10 years. Immunizations must be complete (green check indicates cleared) and approved in the CastleBranch system before an application can be turned in and accepted. Use Package Code UL64im in the upper right side of the screen to start the process. There is a fee of $30 to submit your immunization documentation and other records. If you have a question about why an immunization was not accepted, please contact Lisa Enloe at lenloe@austincc.edu. The e-mail that you linked with your CastleBranch account should be monitored on a regular basis during your application process. To protect patients and provide a safe environment for students, staff, and the public, all student and faculty participating in clinicals/practicum are required to get the current seasonal flu vaccine. Failure to have the immunization may have implications for clinical attendance. Letter (on official letterhead) from the healthcare provider, pharmacy or clinic that issued the vaccination. Copy of immunization record showing student/faculty name as having received the vaccine. Please note that even if the flu vaccine is received in a “public” clinic, the information on the form must be completed in order to meet the clinical agency requirements. Students/faculty are responsible for keeping their personal vaccine records until further instructions are provided. You may use the Flu Vaccine Consent Form, but you must have your receipt for proof/documentation. If you rotate to multiple agencies within the same semester, you may be providing the documentation at each agency. If you receive the nasal flu vaccine (LAIV), inform your healthcare provider before receiving the TB skin test due to timing issues. Students are not to give the record to their clinical instructor at this time. If you receive a receipt when you get the flu vaccine, please attach a copy to the Flu Vaccine Record. Maintain your documentation and keep a copy with you at clinical agencies at all times. To use the Texas Department of State Health Services’ Flu Vaccine Finder, click here. You may also contact your physician or other retail facilities offering flu vaccine (HEB, CVS, Walgreens, etc). Many are offering free or reduced shots to certain populations. The CPR required must be the American Heart Association (AHA) BLS Provider. The AHA recognizes the Military Training Network (MTN) provider card as equivalent of the corresponding AHA provider card. 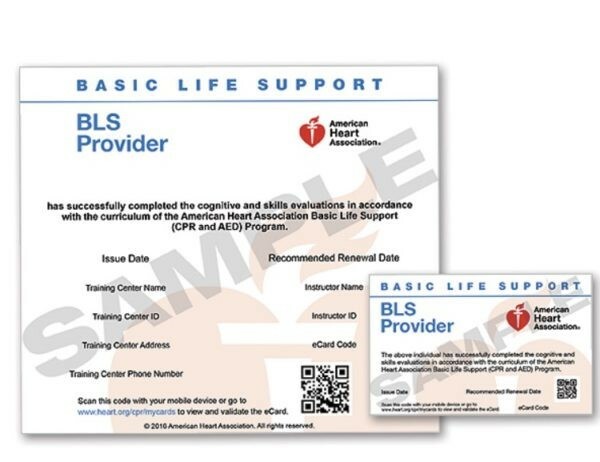 The card must say AMERICAN HEART ASSOCIATION BASIC LIFE SUPPORT BLS PROVIDER on the front with an authentic American Heart Association logo as pictured on this sample card. American Red Cross, CPR Pro and CPR Resources at this time do not meet the criteria and will not be accepted.  Austin Community College offers CPR that meets the above criteria through Continuing Education. Please refer to the current CE course schedule or call 223-7542 for more information. Sav-A-Heart – (512) 257-0508, Take only the Healthcare Provider course. Austin EMS – (512) 978-0100, Make sure the card issued is an American Heart Association card. This list does NOT include all of the available classes in the Austin area. Incoming students should initiate a background check only upon directions from the department. The background checks are conducted by CastleBranch, a firm specializing in background checks for healthcare workers. Employment verification is required by the clinical agencies as part of the background check. Cost of the criminal background check will be the responsibility for all students. Instructions for obtaining your background check will be provided to you by the department. Results of all background checks are reviewed by the Health Sciences Compliance Coordinator. Attention: Some employers and institutions charge a service fee for employment and education verifications. These fees normally will not exceed $15.00. When a service fee is required, CastleBranch passes this fee to the applicant. The applicant must agree to the additional fee in order to proceed with the background check. Community Standards for criminal background checks were developed in conjunction with the Healthcare Workforce Alliance of Central Texas (HWACT) to meet clinical agency compliance with Joint Commission on Accreditation of Healthcare Organizations (JCAHO) standards pertaining to human resource management and to comply with state and federal laws. JCAHO requires verification of competency of all individuals who have direct contact with patients or employees; this includes students doing clinical rotations in the facility. Competency extends beyond technical skills to an individual’s criminal history. Successful completion of a criminal background check is required for admission and continuation in all Health Sciences Programs. Students will be given specific directions from the program about how to obtain the background check. Do not submit order to CastleBranch until you receive directions from the department. Background checks will be honored for the duration of the student’s enrollment in the clinical program if the participating student has not had a break in the enrollment of a Health Science class. A break in enrollment is defined as nonattendance of one full semester or more. The above information must be verifiable through the college/school and must be sent to the clinical agency. Successful completion of a criminal background check is required for admission and continuation in all Health Sciences Programs. The background checks will include a seven year multicounty felony and related misdemeanor criminal record search, a two standard seven year employment history references search, a sanction check and an identity verification. If an individual does not meet one or more of the aforementioned standards, she/he may pursue a declaratory order process with her/his licensing/registry body. If the licensing/registry body approves the individual to take the licensing/credentialing exam, the individual may participate in the clinical rotation. Successful completion of a criminal background check for a Health Sciences Program does not ensure eligibility for licensure or future employment. Clinical agencies can establish more stringent standards, if they so desire, to meet regulatory requirements for their facility. Clinical agencies can conduct additional background checks at their discretion. If a student is found to be ineligible for clinical placement any time during the program, the student is unable to meet clinical learning objectives and will be withdrawn pending resolution of the situation. In association with our clinical education program, drug screening is required on incoming students to ensure the safety of the patients treated by students in the program. You will be required to order your drug screen and submit your specimen in sufficient time for it to be reviewed by the school and/or hospital prior to starting your clinical rotation. A drug screen typically takes 3 days to complete, however its delivery to your school and/or clinical site can be impacted by a variety of factors. Incoming students should initiate a drug screen ONLY upon directions from the department. Failure to undergo the drug test in the time period required will result in withdrawal from the program. The drug screens will be conducted by CastleBranch, a firm specializing in verifications for healthcare workers. Results from other agencies will not be recognized. Instructions for obtaining your drug screen will be provided to you by the department. Health care providers are entrusted with the health, safety, and welfare of patients/clients. The safety and welfare of patients/clients cared for by our students is of primary concern in all Health Sciences programs and the clinical agencies that provide essential clinical experiences for the students. The clinical agencies require a drug screen prior to the first clinical course to ensure that their facility is in compliance with The Joint Commission (TJC) standards. Successful completion of the ten (10) panel drug screen is required within thirty days of beginning the first clinical course. Currently enrolled students are required to have a drug screen within thirty (30) days of the next clinical course. Drug screens will be honored for the duration of the student’s enrollment in the clinical program if the participating student has not had a break in the enrollment of a Health Science program. A break in enrollment is defined as nonattendance of one full semester or more. Negative Drug Screen: Student is eligible for clinical placement. If possible, provide your sample first thing in the morning. Limit the consumption of large amounts of water prior to the test. A good alternative to hydrating yourself would be to drink two 8 oz glasses of orange juice (no coffee, soda, etc) prior to the test. A Positive Drug Screen is any instance in which a drug screening report shows a positive test for one or more of the drugs on the panel. Any student with a positive drug screen will be withdrawn from the program. Failure to undergo the drug test in the time period required will result in withdrawal from the program. Any student withdrawn for a positive drug screen will not be eligible to reapply or apply for readmission for a minimum of twelve months from the date of withdrawal. All current admission requirements will be applicable including (but not limited to) prerequisite time limits. Drug screening policies in place at the time of entry will apply. Successful completion of a drug screen for a Health Sciences Program does not ensure eligibility for licensure or future employment. Clinical agencies can require additional drug screens to be in compliance with their policies. The cost of any drug screen is the responsibility of the student. Drug screening reports and all records pertaining to the results are considered confidential information with restricted access. The results and records are subject to the Family Educational Rights and Privacy Act (FERPA) regulations. Proof of health insurance for all Health Sciences students is required prior to beginning the first clinical course, consistent with the requirements of our clinical education partners. With the increasing risks of providing patient care, it is necessary for you to be protected. This coverage is in addition to the accident insurance provided by the college. Each program will provide specific information related to their deadlines. Proof of insurance will be verified each semester by submitting a copy of an insurance card. Verification of coverage from the provider will also be required if the name on the card does not match (e. g. covered under a parent’s policy). Students are required to keep the policy current and notify the program if changes occur. Failure to do so will result in removal from the clinical site and withdrawal from the program because students will not be able to meet their learning objectives. At this time we will accept MAP as meeting health insurance requirements through the Spring and Summer 2019 semesters. For students submitting a MAP card to satisfy the insurance requirement, please note that MAP only covers care provided in Travis County. You may be assigned clinical outside of Travis County and, should an emergency occur, you may receive care outside of Travis County. You will be responsible for any expenses for that are not covered by the ACC accident insurance (see your program handbook for information about accident insurance; it is not Health Insurance). Please complete the modules, print and sign the forms, and submit to your department as directed. Items on the Seton Intranet can be viewed when students are in clinical at a Seton agency. Additional information is available in the Financial Aid Office on any ACC campus.